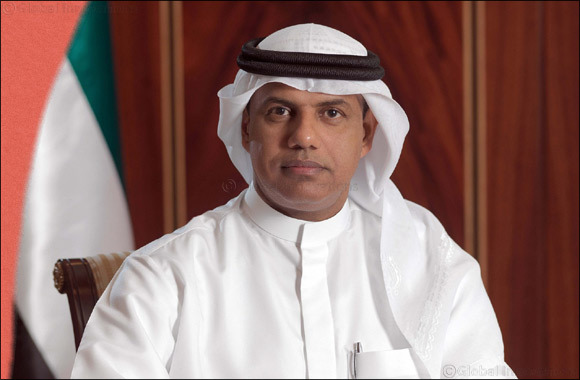 Dubai, UAE, April 13, 2019: Director of Dubai Customs Ahmed Mahboob Musabih applauded the great acheivements of Dubai Customs in Q1 2019, which came in fulfilment of the emirate's overall vision in general and the 50-Year Charter and the Eight Principles of Governance in particular. The organization has scored best on the “Leadership in Government Services Index”. Musabih said: “Making clients happy is an important part of our organization's strategic plan 2016-2021, and our dedication to achieve this has helped us top the client happiness meter with 97.5% in 2018. The momentum continues through Q1 2019 as we scored 98%, which again reflects how committed towards our clients' happiness we are”. Dubai Customs organized a number of events in the UAE Innovation Month 2019. The IPR Department launched the digital book ‘IPR Kids' in a ceremony at the Kid Zania. The department has also organized an event at VR in Dubai Mall where many kids were trained on how to combat digital piracy through a virtual game “Coby Cat Combat”. The IPR department seized 115,589 counterfeited pieces including shoes, electronics, clothes, games with a market value of AED 216,000. Dubai Customs recently signed a memorandum of understanding with the Free Zones Council to help with the implementation of the “Virtual Stock Guarantee” initiative. The new facility was developed by Dubai Customs to support re-export activity from free zones to external markets within Dubai Customs' efforts to help Dubai maintain a leading position and turn into a world economic capital. This initiative is the first of its kind in the world. More than 18,000 companies based on 24 free zones and 37 customs warehouses can benefit from the Virtual Stock Guarantee facility, in addition to customs warehouse companies willing to use it to re-export their goods solely through Dubai's air and sea ports, and the UAE land exits. Dubai Customs earned a number of awards in the 1st quarter. Its Enterprise Architecture, which was developed in-house, won the President's Award – Service Delivery and Automation at the Open Group Innovation and Excellence conference, held in the Indian city Kochi this February. It is a prestigious event organized with a motivation to provide an excellent international platform for innovators and global experts to exchange and share their ideas and insights. The Catalysts Awards in its 5th edition honored the industry trailblazers including Dubai Customs. Maintaining its legacy, the awards recognized the top CIOs/IT Heads in various verticals, sales and marketing leaders and well as the emerging marketers.